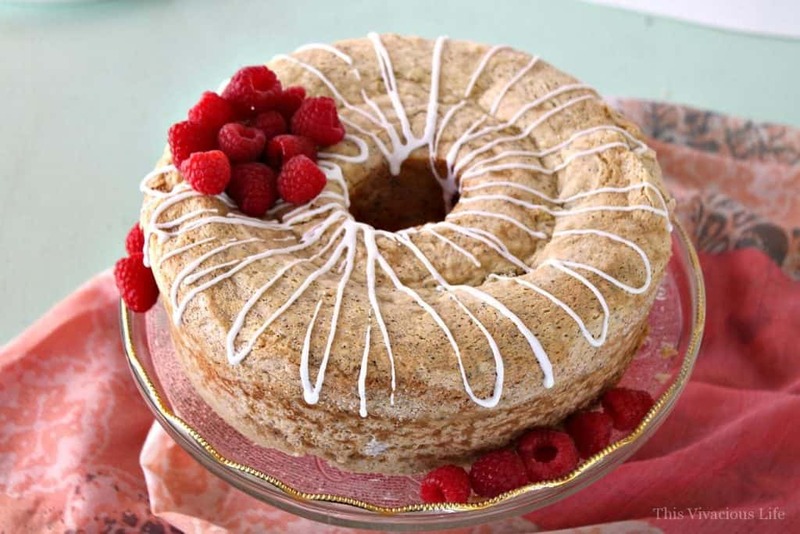 Gluten-free poppyseed cake is a light and delicious dessert that will have all who try it, coming back for more! 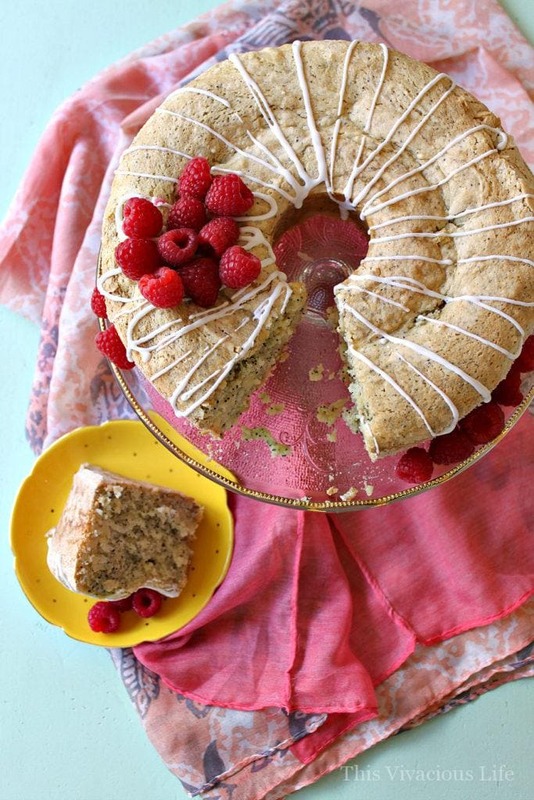 This gluten-free poppyseed cake is one of my favorite sweet treats. It is great as a dessert or served in a bowl with milk for an extra special breakfast. 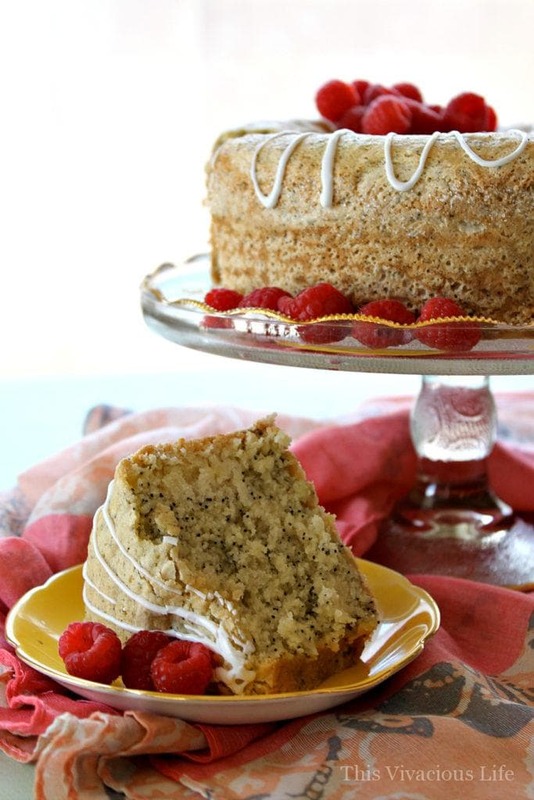 Growing up, this gluten-free poppyseed cake was one of the only cakes I enjoyed. I would always look forward to having my step mama Sheila make it for me when I would go visit my birth dad. She knew that I loved it and was so thoughtful to make it (along with her incredible gingerbread men at Christmas time) specifically for me. This little act of kindness made me feel super special. 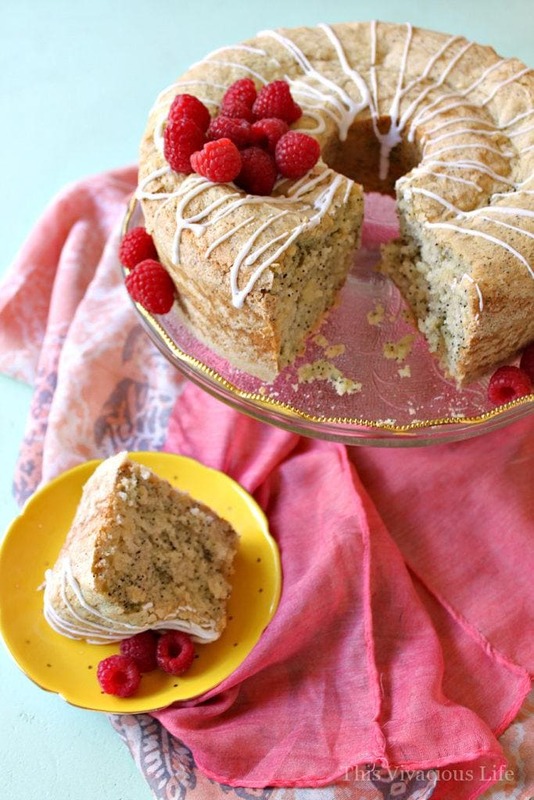 This gluten-free poppyseed cake is so addictive and delicious that everyone will be coming back for more! It is made from scratch and is a dessert that you will treasure for years to come just like I have. Enjoy as is or with a glaze of powdered sugar and milk mixed to your desired consistency. It can also be enjoyed in a bowl with milk. Now, back when I enjoyed it in their home, it wasn’t gluten-free. I wasn’t diagnosed with celiac disease until I was an adult. It was one of the first recipes I wanted to adapt to meet my new dietary needs. Luckily, my mamma Tana is an incredible baker so she helped me do just that. I was thrilled that it tasted just like the nostalgic dessert I remembered but now it was a gluten-free poppyseed cake. If you love this recipe, be sure to check out our cookbook, Gluten-Free on a Budget . It has over 100 delicious gluten-free recipes for all of your needs. Almost all of them have a photo to accompany it because, well, we all want to know what we are baking looks like right? From appetizers and entrees to desserts and holiday themed dishes, we’ve included it all! Plus, we also included information for living gluten-free. Things like stocking your pantry, lunch ideas and resources we have found valuable.